Till now, EastBengal hasn’t managed to clinching any title in the I-League run since its first season. So, they must be looking forward to breaking it and create a new record. EB has won only two out of six matches played this season so far. Red and Gold brigade led by Bhattacharya lost the chance to go to the second spot when they lost to Mumbai FC in the last match. Every event yield some point(s), thus every game is important regarding points table. Currently, Mohun Bagan the table topper will be facing competition. They have garnered 27 points from 15 matches. Both the teams have played enough games so far, but less than Mohun Bagan. Today’s game will prove to a key event for moving up in the standings table. Ashley Westwood, the coach of Bengaluru FC, said the following before the match. East Bengal has lost any one game till now, and that was against Bengaluru FC because of their star striker Sunil Chhetri. Under the coaching of Biswajit Bhattacharya, the EB team would love to move forward by turning the every possible opportunity for themselves and win against Westwood’s Blues. Bhattacharya made the following statement. The Bengaluru team will miss the service of John Johnson because he is suspended from playing one match. It happened because he got four yellow cards in the current season. While, East Bengal side will miss their skipper Arnab Mondal. 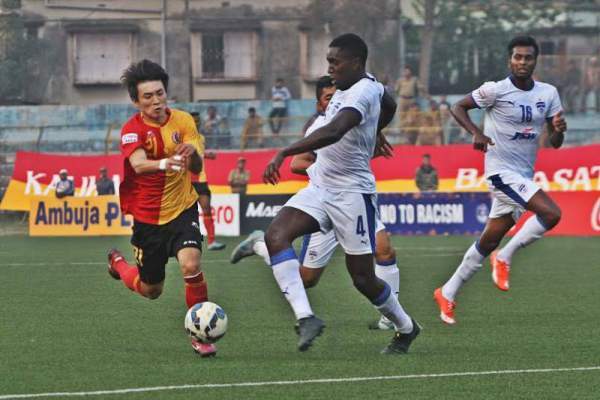 He has been suspended for two matches because he abused Mohun Bagan player Cornell Glen in the game. Bengaluru vs Bengal I-League match is to start at 7:05 pm IST or 1:35 pm GMT. Indian viewers can enjoy the live telecast on Ten 2 (Ten Action). While, they can stream it live on tensports.com. The I-League live score will be present above.